As the bells for New Year has rung, it’s time to bring home something new and handsome. Maybe it can be something like a tall, wide and fancy dining table set. As one can celebrate the occasion more excitingly, sitting with their entire family and having a nice time around the table. This is just the reason why 6-seater dining sets get so much love and attention. 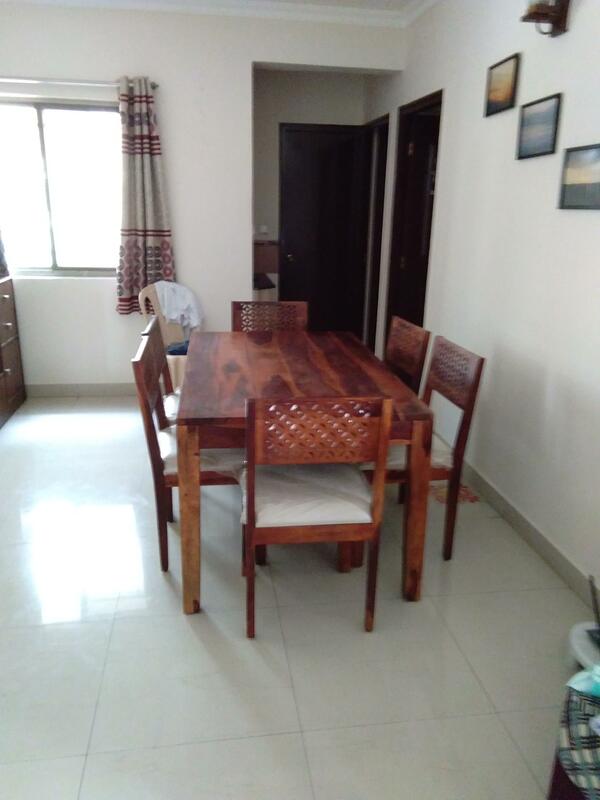 6 Seater dining sets are carved to maintain a spark to the dining nook; with a table that is wide and tall enough for a spacious serving; and the chairs that provide a comfy seating with its cushioned seats and lengthy backrests. 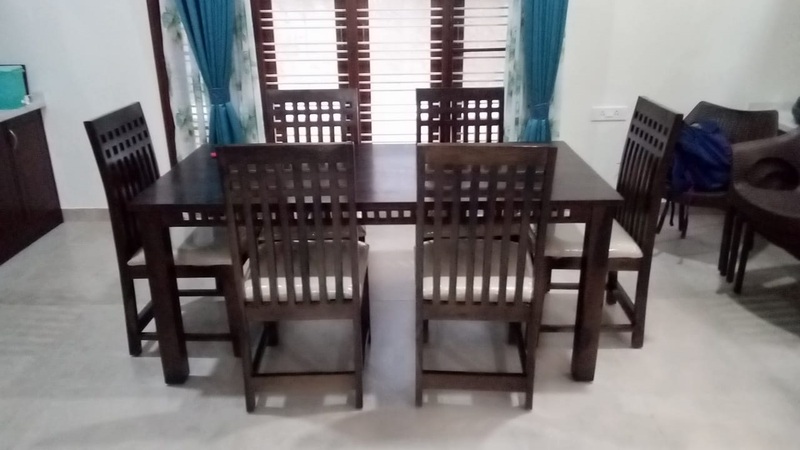 Orson 6-seater dining set is just the right choice if someone is planning to bestow their dining room with a dining set which is snuggly, stunning and extensive. The sleek cut at the backrest of the chairs is a boon to the appeal of the dining set. And to add a variety to comfort and captivation, the bench is a perfect summation with its tufted seating and a prolonged length. Those who are always impressed with some traditional touch to the abode in this modern era, Cambrey is just meant for them. The angularly shaped legs of the table and the intricately carved geometry over the chair as well as the table look extremely appealing. All together it formulates a dining set which is attractive, traditional and comfortable to enhance any dining. Adolph 6-Seater dining set is an epitome of finely carved Greek pattern of the glacial era. Adolph dining set is the ideal furniture to add to the breakfast nook because of its neat carvings and plush appeal. It is served with both chairs or a bench, thus giving you an option to choose your preference. The seating is cushioned for a prolonged homely time with family. Subtle furniture with organized storage, an elongated table to serve fancy dining and chairs that are sober and elegant with a slightly curved backrest. This is what is constituted under one name McBeth. 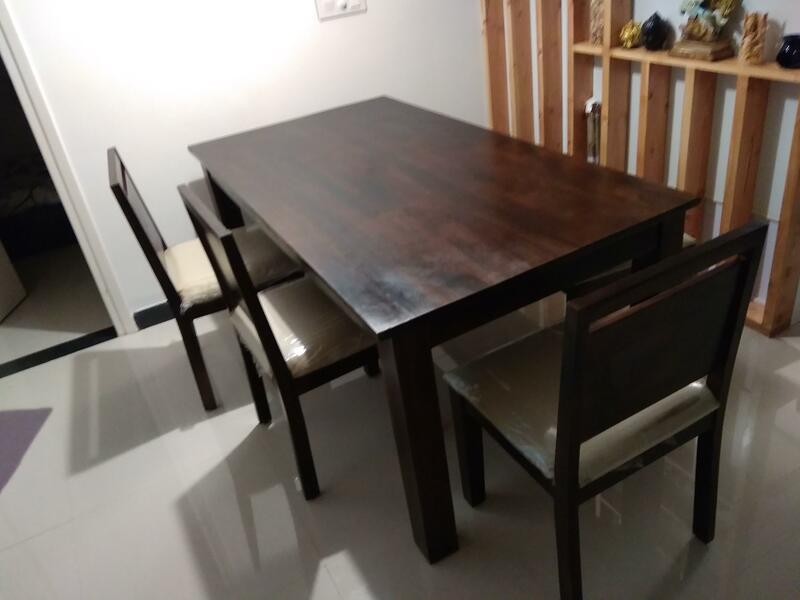 This 6-seater dining table set is also facilitated with the storage drawers which is fascinating enough to give a charming appeal to the dinette with subtle furniture. So that one can enjoy their meal marvelously. Wertex 6-seater dining set is meant to add a modern touch to the modern-day living. 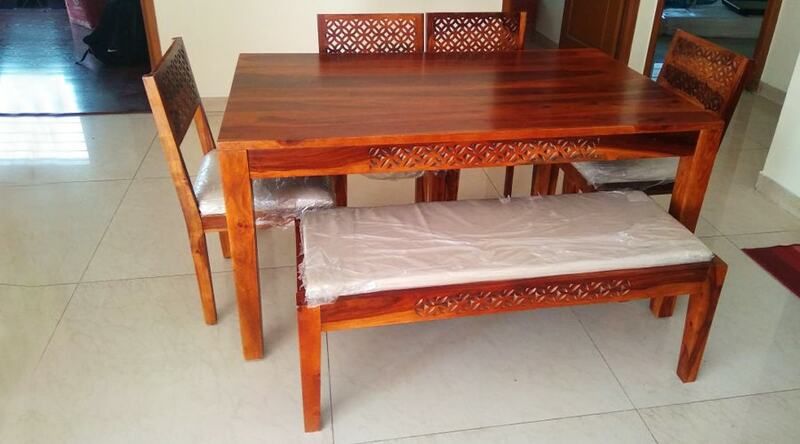 It is a furniture set with a broad and big table so that you can serve all your dinner in a lavishing way. Also, the chairs with an extended backrest and sleek vertical slits are the major reason behind the grace of this furniture unit. 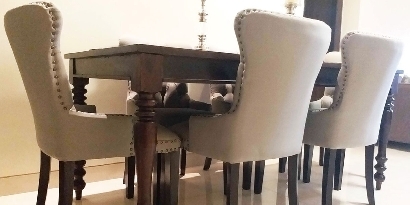 It is altogether a dining table set which can boost up the appeal of the abode in a sassy yet subtle way. P.S: It is a perfect prop for having Biryani with some fuss and fun all around. You can find assortments full of some fantastic designs that can boost up your dwellings with its distinct and eye-catchy appeal right at the website. 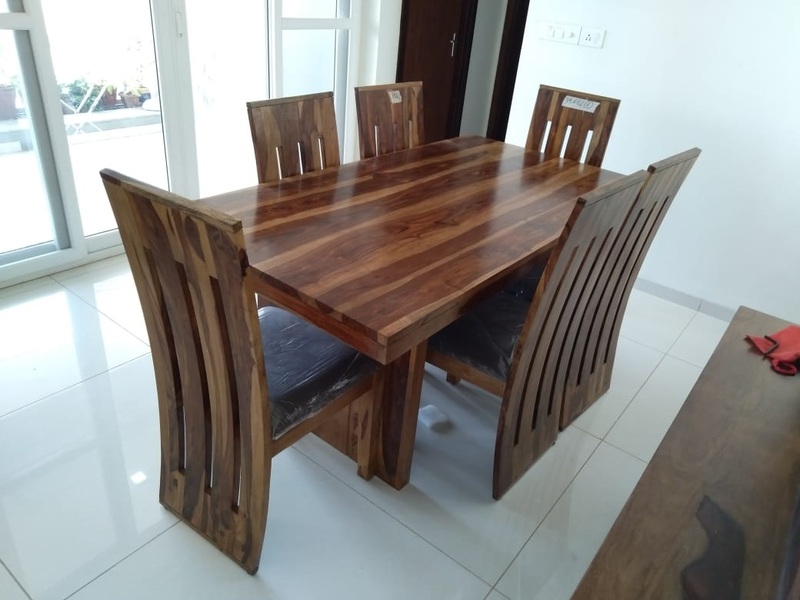 Glorify your dinette with dining tables that are captivating and functional with features of storage and extendibility @Wooden Street. 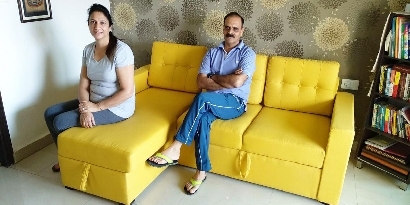 Also, our unique furniture range has let many commoners turn into designers of their own aspirations. 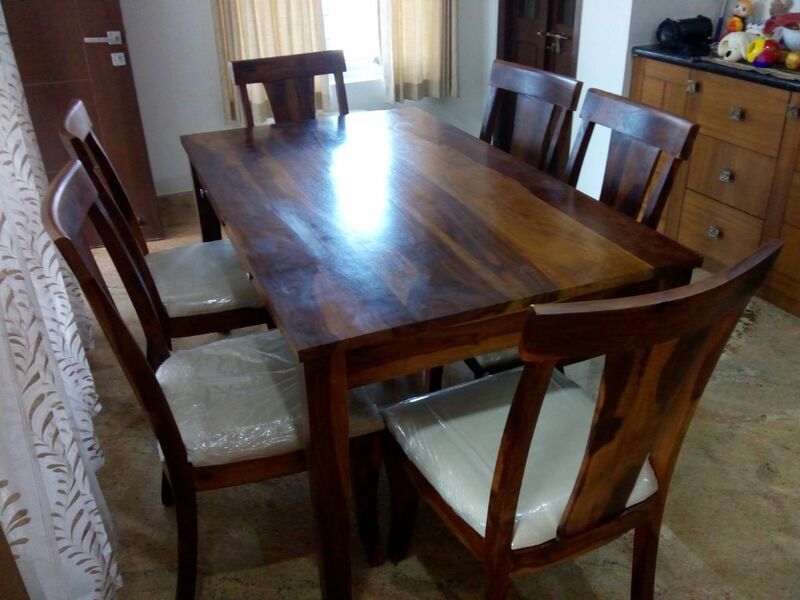 Just like Priti Suresh who opted for a Cambrey 6-seater cushioned dining set with bench. 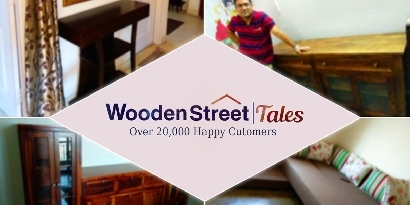 Wooden Street stands by the protocol of serving customers with their fantasies and standing by their expectations!